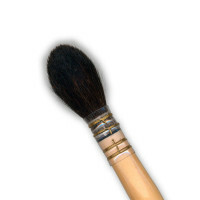 Russell & Chapple Synthetic Hogs are made from a synthetic bristle designed to imitate the properties of natural hog hair. 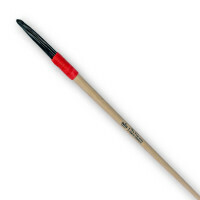 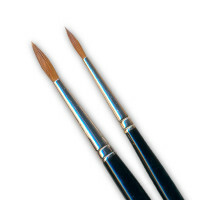 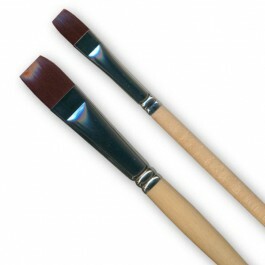 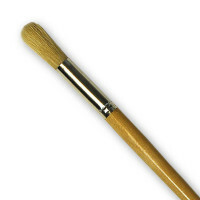 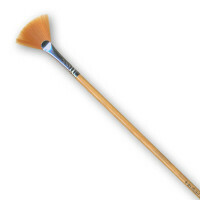 The extra resistance in the bristle makes these brushes ideal for oil paint. 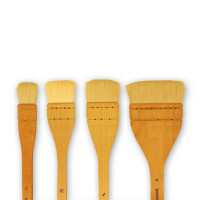 Natural long lacquered handles, dark bristle.